In the past two years, more people switched to Jeep than any other brand. Are you one of those searching for a new or used Jeep Compass? If you are anywhere near the greater Oklahoma City metro, Edmond or Guthrie areas, come see us at Vance Chrysler Dodge Jeep Ram in Guthrie, Oklahoma. 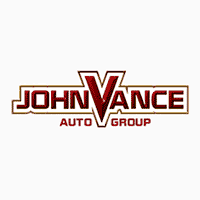 We are well worth the quick 10 minute drive north of Edmond or 30 minutes north of downtown Oklahoma City in Guthrie, OK. Vance Auto Group has been dedicated to helping Oklahomans find the perfect vehicle for over thirty years. Come see why our small town friendly neighborliness keeps us rated so high in customer service year after year. We have nine full service dealerships which means a huge preowned inventory for you to choose from. If you are searching for a new Jeep Compass, come see us in Guthrie. Jeep has a loyal base of customers who love adventure. The Compass is an affordable version that takes you where you want to go in style. The All-New 2017 Jeep® Compass was named the Northwest Outdoor Activity Vehicle of the year in the Compact Utility Vehicle segment along with the 2017 Activity Vehicle of Texas. With five models to choose from, The Sport, Latitude, Altitude, Trailhawk and Limited, we have one that is perfect for you. The aerodynamic design exudes a confident stance that makes the Jeep Compass look at home on the trail or in the city. The available black roof and bright chrome molding that wraps dramatically around the rear and sides give the Jeep® Compass an upscale, sophisticated profile. As captivating as the exterior is, the interior redefines the comfort and pleasure of a Jeep. In the crowded market of the SUV, Jeep has outdone itself with the Compass. It is the perfect combination of the fun driving of a Jeep with the versatility of a SUV and safety all around. Whether you are driving by yourself or have a bunch of friends or family with you, you’ll love the cabin experience with luxurious seats, quiet sound and astounding sound. But when you need to switch to carrying equipment, pets or any other cargo, the seats fold down to fit your needs. Driver and passengers are protected by more than 70 available safety and security features. Check out all the latest driver assist systems and technology features that keep you connected as you drive. Make the short drive to Vance Chrysler Dodge Jeep Ram in Guthrie, OK to drive a Jeep Compass and see how we have kept our high customer service rating for more than 30 years.